As I wrote in December, the demands of completing my dissertation (and my new position as a science reporter with Utah Public Radio) haven't left me enough time to write the more in-depth long-form content that I (and readers, it seems) like so much. If all goes according to plan, I should return to those more elaborate articles towards the end of 2016, but in the meantime I wanted to highlight some recent and exciting updates to some of my older articles. In February the state of Virginia became the first state to officially designate a state snake. 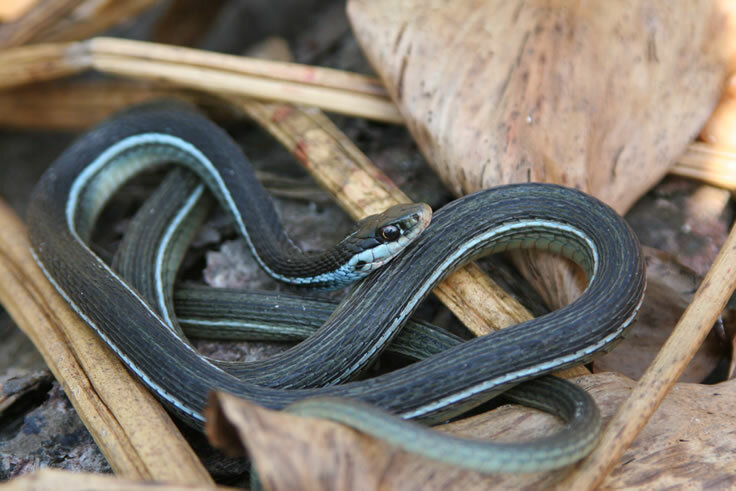 They chose the Common Gartersnake (Thamnophis sirtalis), despite being literally one of only two states in the nation to share their name with a genus of snake! If they had read my 2013 article, they might have gone with my pick of Virginia valeriae, the widespread Smooth Earthsnake, instead. But, perhaps there was already enough controversy: the gartersnake was proposed by 11-year-old Aiden Coleman of Williamsburg, but was put down by senators for being too wimpy. 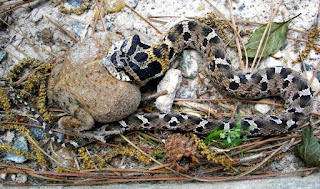 A couple of senators preferred the Timber Rattlesnake (Crotalus horridus), but the gartersnake was reinstated after Coleman asked one of them "just how much like West Virginia do you want us to be? "—unlike the legislators, Coleman already knew that the Timber Rattlesnake is the (very well-chosen) state reptile of West Virginia. The bill is now with the governor, whom some have suggested is the real snake. Heads up, taxonomy buffs—the scientific name of the Eastern Ribbonsnake (currently Thamnophis sauritus) is probably about to change to Thamnophis saurita, for some fairly technical linguistic reasons. 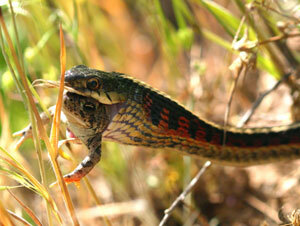 Linnaeus named both this species and Thamnophis sirtalis, but because Linnaeus's description for sirtalis better matched sauritus, the two names were for decades confusingly interchanged. All seemed to be settled by a 1956 ICZN ruling, but in March a new paper in the journal Herpetological Review pointed out that Saurita, the original spelling used by Linnaeus, was capitalized and that its –a ending did not match the masculine gender of his genus Coluber. According to the grammatical rules of species naming that Linnaeus followed and which we still follow, this means that he meant "Saurita" to be a noun, rather than an adjective, and so the ending should not change to match the gender of the genus. The common assertion that "The specific name sauritus is New Latin, meaning lizardlike" is incorrect: sauros is Greek, not Latin, and the suffix –ita does not mean "like", but "little" (in Spanish). An obscure 5th-Century Greek dictionary by the lexicographer Hesychius, which is famous for being the only remaining source for a lot of ancient Greek words and would have been available to Linnaeus, lists "Saurita" as "a kind of serpent", settling the issue. Fear of snakes made the New York Times op-ed section this week in an insightful article about the way humans assess the relative risks of terrorism and climate change. Although I completely agree with the article's point, in my opinion the author missed an opportunity to emphasize how our fear of snakes, like our fear of terrorism, is way beyond the risk posed by either (especially in the USA). It was a bit frustrating for me to read an article that came so close to making the analogy that we fear snakes even though they are unlikely to do us harm, but instead used fear of snakes as an example of an urgent fear distracting us from more gradual, but ultimately more dangerous threats. 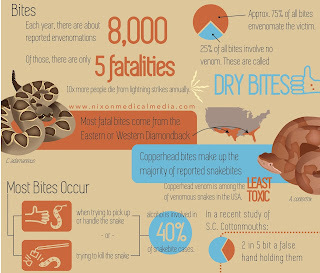 It's a tricky subject, but I did like the comparison between the number of deaths in the USA from falling in the bathtub (464/year) vs. from a terrorist attack (17/year)—both more likely than death from venomous snakebite (5/year). Also, if you haven't seen it, check out the awesome infographic that scientific illustrator Liz Nixon made using some of the data in my snakebite post. I rarely reference my own research on this blog, but last year I collaborated with Dr. Butch Brodie and members of his lab to publish some data on tetrodotoxin resistance in hog-nosed snakes (genus Heterodon). These snakes are well-known toad-eaters, but the few records of them eating newts were scattered until I brought them together in our new paper. Combined with molecular and whole-body resistance data, we showed that Eastern Hog-nosed Snakes from parts of upstate New York are more resistant to tetrodotoxin (TTX) than even the most resistant gartersnakes. But, Eastern Hog-nosed Snakes elsewhere are not as TTX-resistant, and Western Hog-nosed Snakes do not appear to be TTX-resistant at all. Most interesting, the mechanism of resistance appears to be something quite distinct from the conserved mutations in gartersnakes and other newt-eating snakes, and so far unknown. Thanks to David Herasimtschuk, Patti and Jack Sandow, and Pierson Hill for the use of their photos.